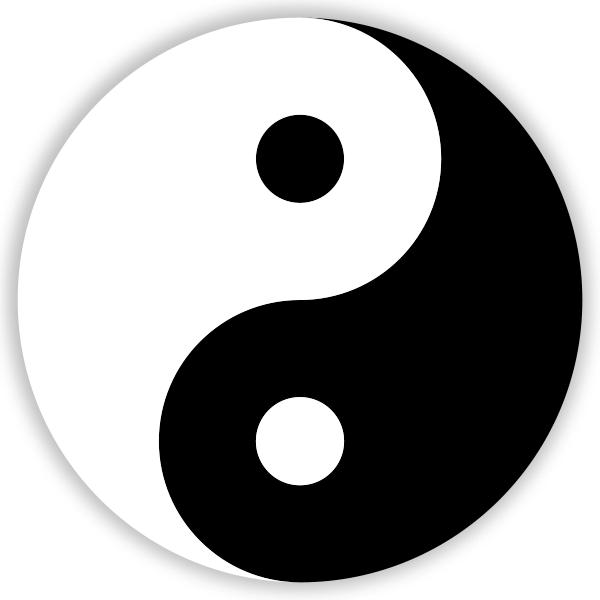 Do you know the Chinese yin-yang symbol? It’s meant to symbolize how opposites complete everything. Life and death. Male and female. Good and evil. And so on. Many people in the West think that that symbol is used in all of Asia. Other Asian countries have similar ones, though. 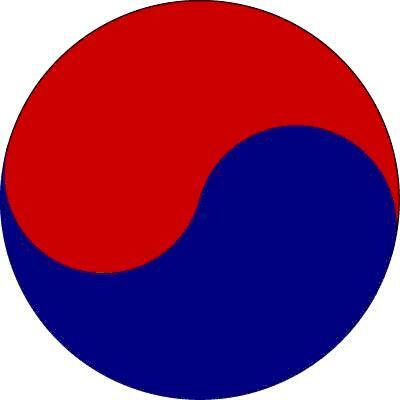 In Korea, they use a similar symbol but without the two contrasting colored dots. And their symbol is usually red and blue. This symbol is on the Korean flag. In Japan, the closest symbol to these is the 「三つ巴」 (“Mitsudomoe“). In Japan, the mitsudomoe is more common than the futatsudomoe. 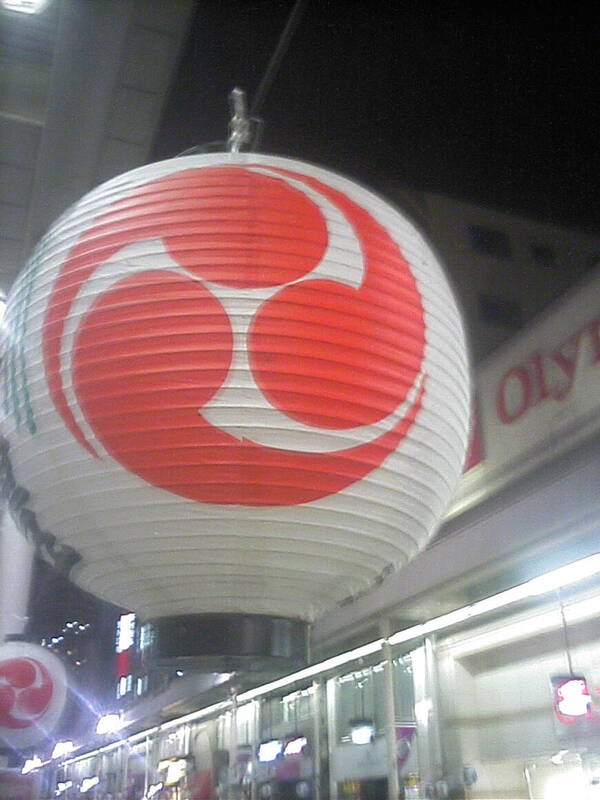 It’s often seen on 提灯 (Japanese paper lanterns) and 太鼓 (Taiko drums). I took this photo of a 三つ巴 on a 提灯 (paper lantern) with my cell-phone. It also can be seen as a 家紋 (Japanese family crest). Japanese appreciate simple and less-flashy designs. So, 家紋 (Japanese family crests) are much simpler than colorful European family crests.